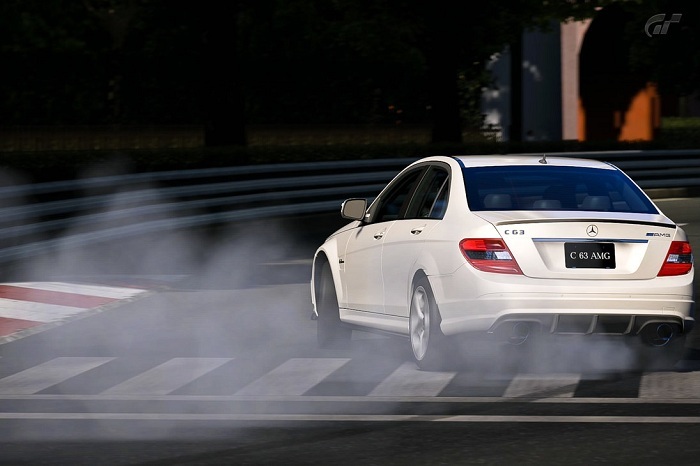 Mercedes C63 AMG Wallpaper is digitally generated by Gran Turismo 5 Photomode. Nice Wallpaper for the car lovers. Mercedes C63 AMG Wallpaper is submitted by dream-vii generated by Gran Turismo 5. 1920?1280 pixels ; resize if needed. This Article Has Been Shared 9795 Times! Grass and Daisy Wallpaper is an excellent quality photo wallpaper in high resolution of a bunch of white flowers on a beautifully blurred grassy background. Grooming Buddies is a colorful photo wallpaper of one blue yellow Macaw Bird is grooming a red Macaw. Cite this article as: Abhishek Ghosh, "Mercedes C63 AMG Wallpaper," in The Customize Windows, November 24, 2011, April 19, 2019, https://thecustomizewindows.com/2011/11/mercedes-c63-amg-wallpaper/.